Huon Hook: "3 Top Chardonnays"
In every way The Tiers Vineyard is a “distinguished site”. It is the first vineyard planted in the Adelaide Hills thus pioneering the true cool climate wine industry of South Australia. 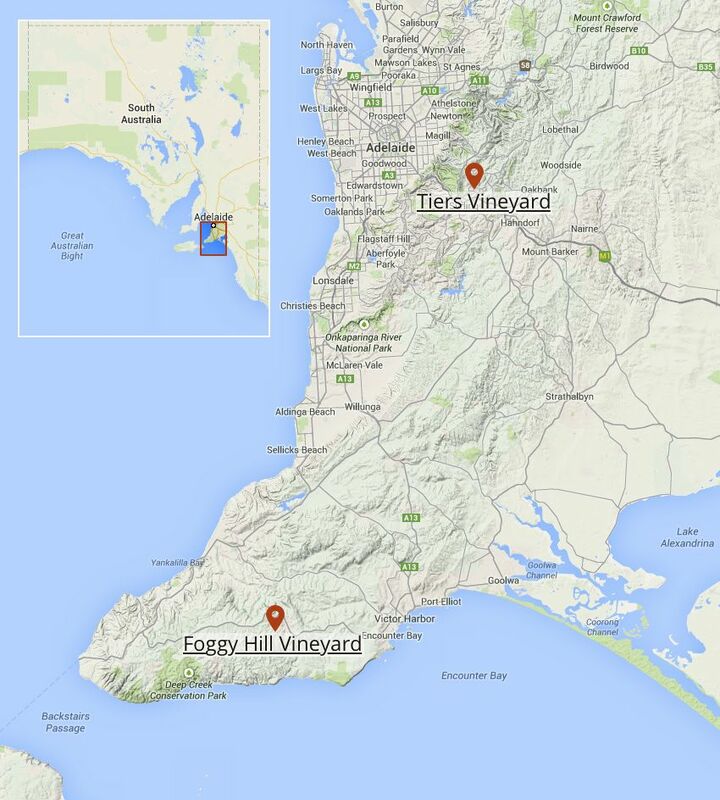 The Tiers Vineyard is in the second coolest and the wettest location in South Australia, the Piccadilly Valley. It is absolutely suited to Chardonnay being an almost perfect homo-clime of Burgundy and especially mirrors the southern end of the Cotes de Beaune where the great Montrachets are grown. The soil is unique in the Adelaide Hills being based on the 1.6 billion years old Calcsilicate geological stratum lifted into place by a fault at the edge of the Tiers Vineyard that places it next to the 500 million year old geological strata that prevail in the rest of the Piccadilly Valley. The Tiers Vineyard tilts gently to the north and east in a sheltered valley that takes best advantage of the autumn sun in the northern sky to extract the last rays of ripening energy at the cool end of the harvest. It has been planted on an intensive vine regime and managed fastidiously by hand on a vine-by-vine basis. The vines are now over 30 years old and in perfect balance with their environment at the low crop level of 6 tonnes/hectare. The Croser family planted the Tiers Vineyard in 1979, the first vineyard planted in the Adelaide Hills region in the 20th century. The Tiers Vineyard is in the centre of the Adelaide Hills in the middle of the Piccadilly Valley sub-region, the coolest and highest rainfall viticultural location in South Australia and one of the few genuine homo-climes of Burgundy in Australia. 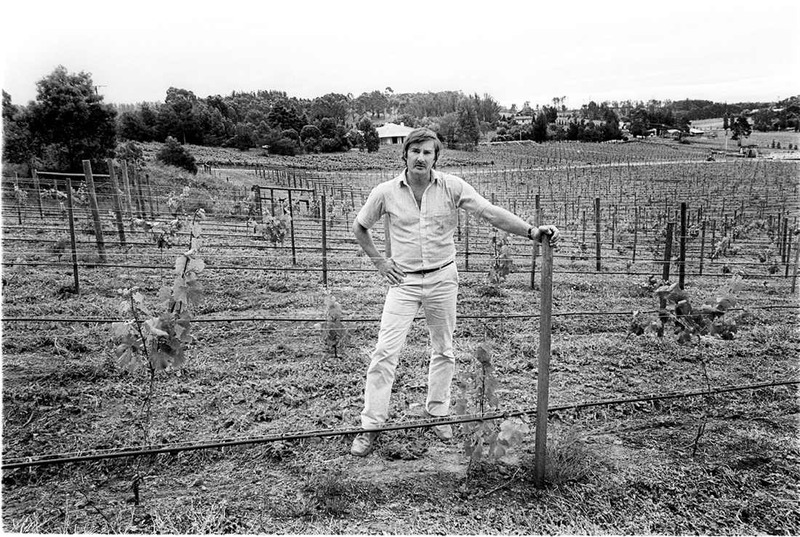 When Brian and Ann Croser took their young family to the Piccadilly Valley in 1978 to establish the Petaluma winery, they purchased the 7 hectares property that they named The Tiers as their home and the site for a revolutionary Chardonnay vineyard. The property was named The Tiers in recognition of the 1836 name the pioneers gave to the central Adelaide Hills as seen from the Adelaide plain. The original name for the Piccadilly Valley was the Tiers Valley. The 3 hectares of adjacent low-lying land was purchased by Petaluma for the establishment of the winery. 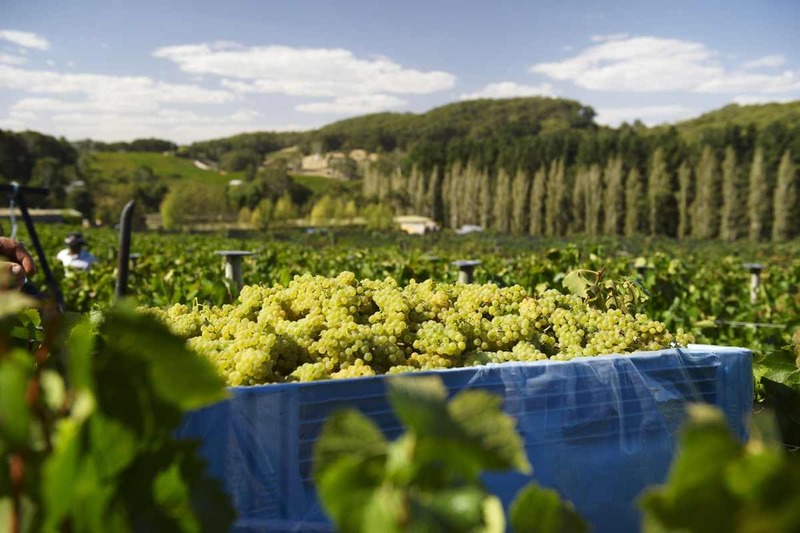 Chardonnay had only emerged in Australia in the mid 1970’s and to underline the extent of the experiment and risk, The Tiers was one of the first Chardonnay vineyards in South Australia as well as being the first vineyard in the Adelaide Hills. 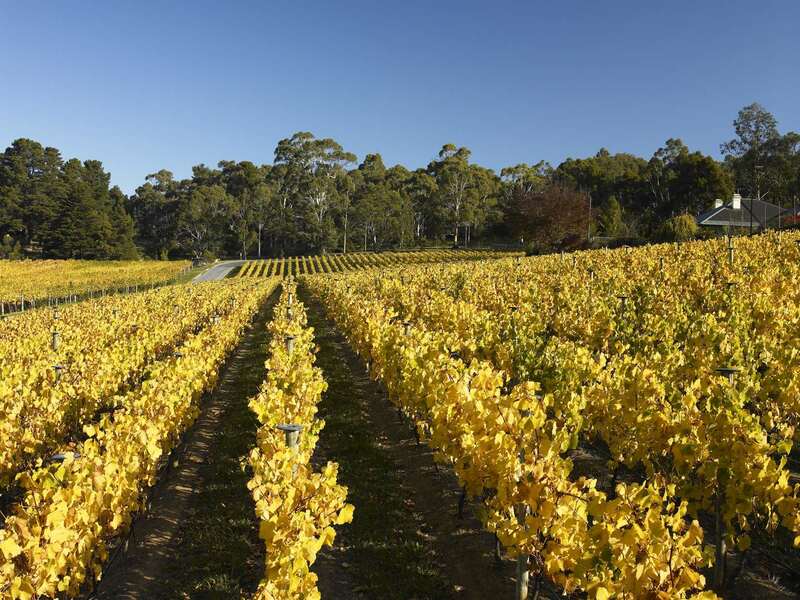 Brian Croser had identified the central Adelaide Hills as one of the best places in Australia to plant Chardonnay based on the cool climate requirement of this early ripening variety. This requirement was reinforced by his experience of Chardonnay in the emerging Californian “boutique” wine industry in the early 1970’s, typified by the wines of Freemark Abbey, Chalone, Robert Mondavi, Mayacamus, Hanzell and Spring Mountain, pre-eminent among others. The Tiers Vineyard was planted in 1979 with OF and Mendoza Chardonnay clones on own roots on the radical vine spacing of 2.1 metres between rows and 1.5 metres between vines (3175 vines/hectare), then the closest spaced vineyard on the Australian mainland. The vines are hand pruned to two canes of 12 buds each and two replacement spurs of 2 buds. Foliage wires hold the canopy vertically, all very revolutionary practice in 1979. Traditional South Australian viticulturists considered the Piccadilly Valley too cool and inclement for grape growing and The Tiers Vineyard configuration too expensive to establish and too costly to manage for an economic return. Their scepticism was nearly justified when the first flowerings of the new Tiers Vineyard failed in 1983 and 1984 because of what later proved to be unusually windy and cold weather in late November of both years. The key to unlocking the quality potential of the Tiers Vineyard is the 90,000 buds/hectare that are necessary to achieve a proper vine balance and control of vigour in the benign Piccadilly Valley environment. The close spacing allows those buds to be dispersed along the fruiting wire to create an open canopy and to establish enough leaf area to fully ripen the 2 kilograms of fruit/vine that represents a crop level of only 6.4 tonnes/hectare. The Tiers was the first of the now many cool climate vineyards later established to this formula in Australia in the 1980’s and 1990’s. The Croser family commitment to the continued excellence of the Chardonnay fruit from The Tiers Vineyard has been demonstrated by the emotionally painful removal of one third of the original panting and its replacement in 2003 to new Dijon Chardonnay clones on rootstocks and on an even tighter planting regime of 4444 vines/hectare. These vines now contribute another layer of complexity to Tapanappa Tiers Chardonnay. The Tiers Vineyard Chardonnay is hand harvested typically at the end of the first week of April in bright Autumn sunshine and cool air. The tiny bunches are selectively hand harvested into 0.5 tonne bins and transported to the Tapanappa winery at the bottom of the vineyard. The Chardonnay fruit is de-stemmed, roller crushed and chilled to 5°C on its way into the 4 tonne air-bag press. The juice is drained and gently pressed to about 0.8 bar after the press is filled and a small dose of sulphur dioxide is added on the way to the settling tank. No enzymes or other additions are made to the juice, which is allowed to settle for 4 to 7 days before racking. The racked and partially clarified juice is immediately seeded with our vineyard yeast strain and malo lactic bacteria strain and gravitated to a mixture of 70% new and 30% one use Vosges oak barriques. Fermentation occurs at the naturally cool temperatures of late autumn and rarely approaches 20°C. After 4 to 6 weeks the primary fermentation is complete and the barriques are topped to allow lees stirring every 2 weeks until the malo-lactic fermentation is also complete in August. The finished wine is allowed to rest on lees in topped barriques until the spring when after 8 months in barrique it is racked clear off lees and a minimal quantity of sulphur dioxide is added. The clear racked Tiers Chardonnay is gravitated to bottle in January 10 months after harvest, without any filtration.